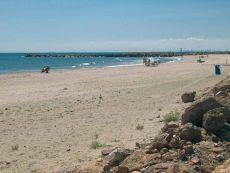 Cala Nostra (Our Cove) is a small of coarse sand and stones, which is usually very quiet. 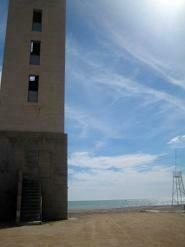 It is also sometimes called Cala Lleida because of its proximity to the street of the same name. Playa de La Llosa is an open beach with one sandy area that runs into a stretch made up of shingle and pebbles. 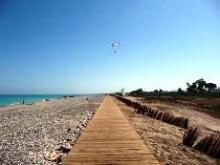 It is an unspoilt beach with a notable lack of buildings and an accessible wooden promenade that runs along the beach and crosses the channel known as “La Gola” with an illuminated bridge. 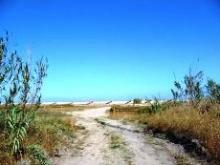 Playa de La Llosa is 3 km from the town of La Llosa, by the Marjal wetlands. 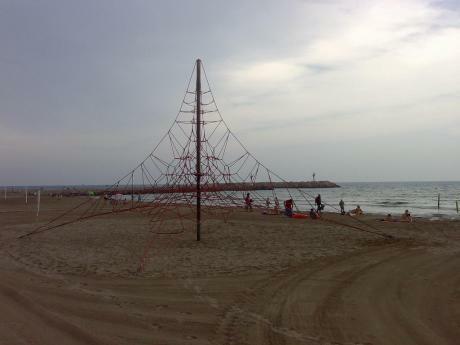 A series of spikes form small creeks and shelter the beach from swell. It is about one kilometre long and is formed by sand, boulders and gravel being located in the middle of a farming environment. Sand, gravel and boulders intermingle at this quiet creek of semi-urban aspect. Open beach converted into small creeks thanks to some spikes sheltering them from swell. They are of fine sand and of boulders in some stretches. 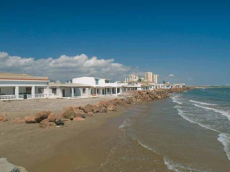 On its border, a pleasant waterfront with gardens and splashed with palms gives the environment an attractive aspect. Small and quiet beach of fine sand and gravel showing a semi-urban ambience and where holidaymakers residing in the residential area with the same name meet.